Whether it is the first time you are in Ljubljana or if you have explored the city before, there are a number of stories and attractions in this pocket-size capital, waiting to be discovered. Check some of the best guided Ljubljana sightseeing tours and join us for a time travel through the history of the city! 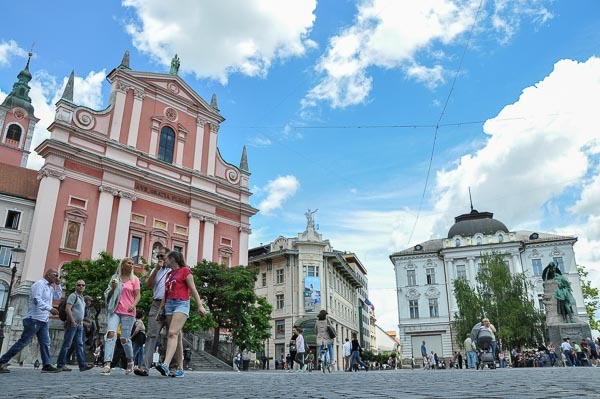 Learn from experts as interesting historical and cultural facts about Ljubljana and Slovenia are given by Ljubljana.info tour guides, who are happy to share their secrets and knowledge of Ljubljana with visitors of this charming city. On this Ljubljana city tour, you see all the main city sights and best places in Ljubljana. Our professional guide helps you understand the historical and cultural richness of Ljubljana and Slovenia. You will get to know why Ljubljana erected where it did, why it is a city of the oldest wooden wheel in the world and what influenced its present image. We also reveal where does its name come from, how the river shaped the city, why a dragon is a symbol of Ljubljana, what the Yugoslavia times were like, what is our average salary, how we think, what we eat, what language we speak etc. 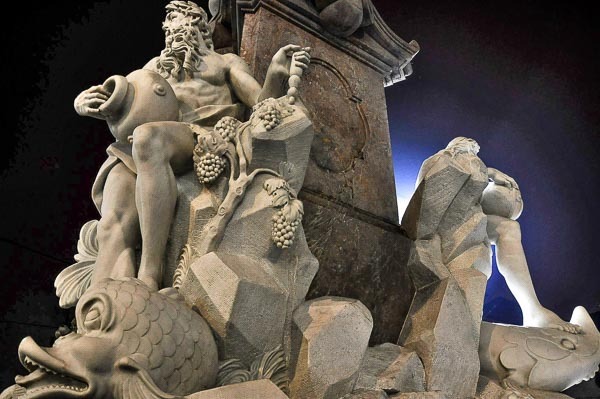 In the same time stories of beautiful bridges, buildings, statues, markets and historical facts that milestoned 5000 years of Ljubljana`s history will not be left out. Tickets for this tour are running out fast! Proudly overlooking the city from the top of the hill, a visit of the Ljubljana Castle is one of the highlights of this tour. On the tour we explore the city, its architectural and historical treasures. While discovering the old town we take a funicular ride to the top of the castle hill. 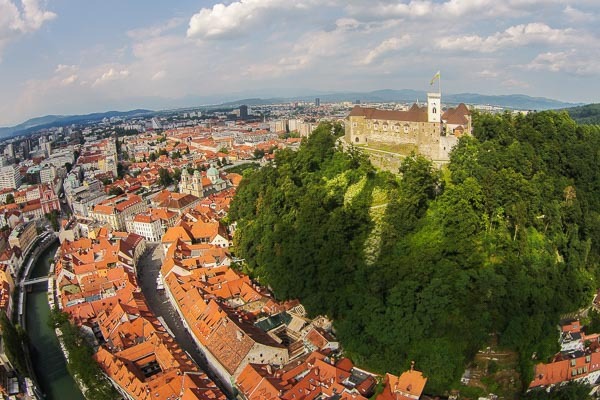 We enter this 500 year old fort, talk about its past, see former jails, a lovely castle chapel and climb the lookout tower, from where an astonishing view of Ljubljana and its surroundings opens. After we descend back to town, we continue our walk through the past and present of Ljubljana. 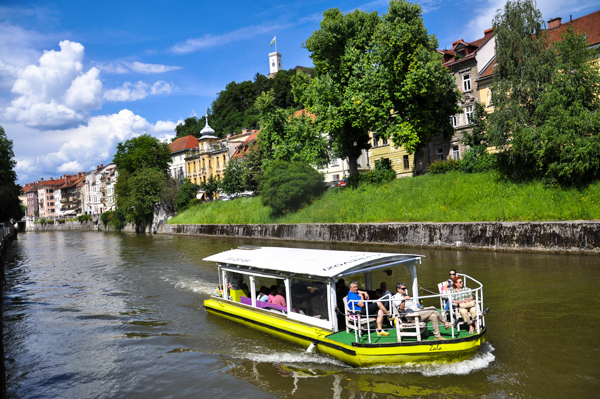 This Ljubljana boat tour offers you a unique experience of walking and a boat ride. Walking around the Old Town of Ljubljana is appealing by all means. 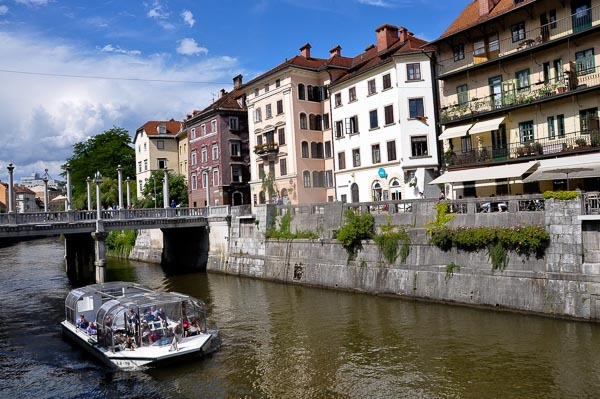 However, you can make it even more delightful and exciting by letting us take you on a boat ride on Ljubljanica River that flows languidly through the center of town. One of the cleanest rivers running through world capitals also hides numerous archeological treasures and is named a “River of Seven Names”. You wonder why? 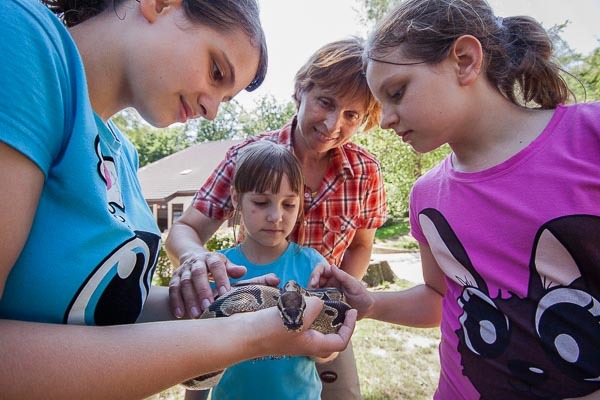 Join us on an adventure, which is super fun also for children and makes you see Ljubljana from completely different perspective. This tour is appropriate for those who wish to experience Ljubljana in all its beauty in many different ways: panoramic, walking and by boat. We begin this journey through the history of Ljubljana at the Preseren Square. 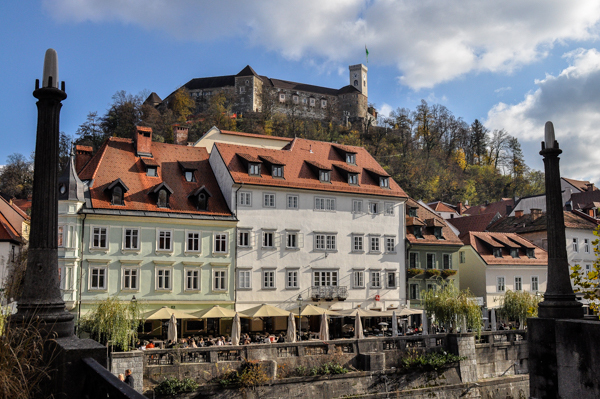 After we cross the city market and embark on a funicular taking us up to the crown of the city – Ljubljana Castle. The view from the castle tower is astonishing! 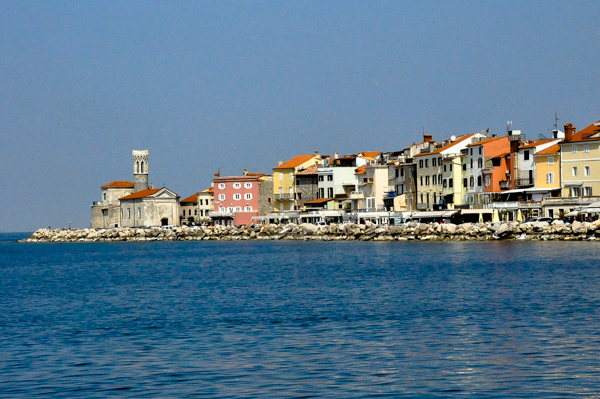 Did you know that one-third of Slovenia can be seen from it? After descending to the old town of Ljubljana we board on a boat that takes us along the river Ljubljanica, also named the River of Seven Names. The river still keeps many archaeological treasures. Sailing along the river offers wonderful views of the squares, bridges, embarkments with many cafes and the buildings of the old city center of Ljubljana. A city tour is one of the things to do in Ljubljana to make you get to know the city and its people better. On our Ljubljana walking tours, we do not wish to bore you with information on dates and years of every laid brick. Well, we can but only if you really want to. What we prefer is to make you understand the city and its people through stories and interesting facts making the experience both educational and fun. Transform into a real street painter and join us on a trip through colourful Ljubljana! Get to know the city, its people, architecture and nature in a fun, relaxed and creative way! This tour is appropriate for those of you who have always wanted to stand with a brush in front of a painting canvas. You`ll be surprised to discover so many details of the city that you wouldn`t even notice otherwise. No prior knowledge of painting is needed and fears or concerns are unnecessary. Our mentor is there to help you express your painting creativity and to paint the canvas you will gladly take home as a souvenir and maybe even put it on a wall inside your home. 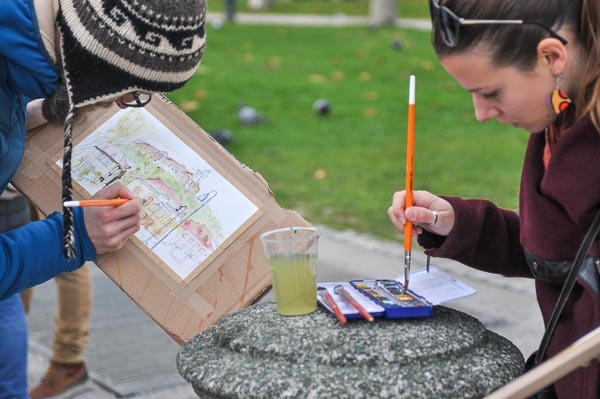 Get to know Ljubljana and your artistic self! This Ljubljana boat tour offers you a unique experience of a boat ride. Cruise through the historic Ljubljana city center on the languid Ljubljanica River and be embraced by the sights and sounds traversing 5,000 years. From Ancient Greek legends to romantic cafe’s, you will feel the timeless soul of this magical journey. 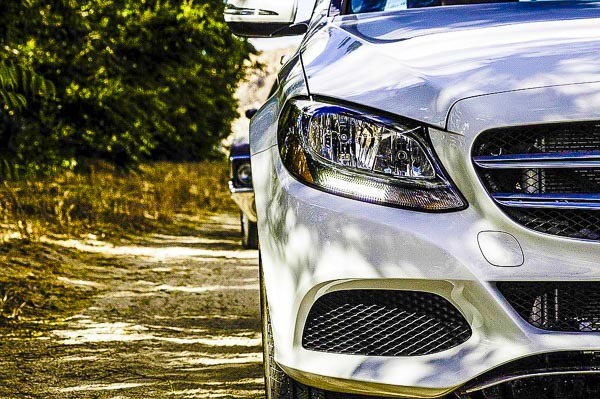 Follow the course of Jason and the Argonauts, imagine the ancient Roman culture that once lived here, feast your eyes on the medieval castle and historic buildings above you. As you pass under charming bridges you will hear the sweet laughter of children and of lovers; the cafe-life along the embankment. We welcome you on this boat tour. The Ljubljanica River gives you a different view on life! Willing to take some proper photos and get rid of the selfie stick for a while? Ready to learn some basics of photography on Ljubljana`s best and most beautiful locations? Join us on this photographic tour of Ljubljana with a photographer and a guide who knows Ljubljana`s most picturesque locations, from nature to photogenic river canal views to most beautiful architecture and off-the-beaten-track spots. The tour takes place in any weather and any time of the day. Both begginers and old hand photographers are welcome. Are you interested in art, history and architecture? Are you also a beer fan? If the answer to both questions is »You betcha!« or »For sure!« or »You can bet the farm on it!«, then you are welcome to join us on Ljubljana craft beer tour experience that includes both – sightseeing and beer tasting. In the past decade, same as in many other countries around the world, a real brewing revolution has taken place in Slovenia. 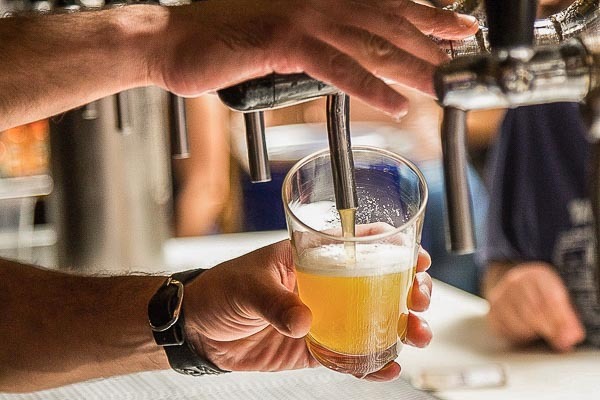 Microbreweries have been springing up as mushrooms after the rain and the culture of drinking beer has risen to a whole new level. While admiring beauties of Ljubljana, observing its people and conversing about Slovenian history and culture, we take our time to make a stop or two and taste some of the best Slovenian craft beers. 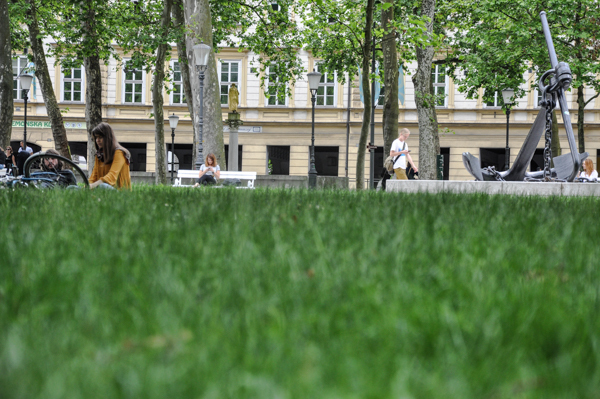 75 % of the territory of Ljubljana are green areas. To help preserve the green character of the city, all our tours are aimed at ecological sustainability. We only use means of local transport that do not pollute the environment. It is wine o’clock, time to see why Slovenia has a long history of winemaking. Join us on a guided tour of Ljubljana combined with wine tasting, a true treat for your taste buds. 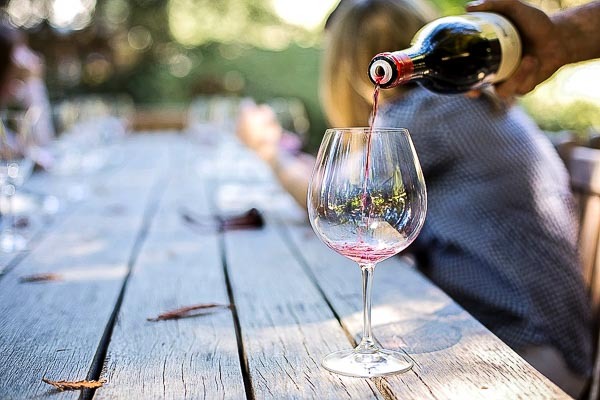 This Ljubljana wine tour covers a visit to the main historical sites that are a must to see while in Ljubljana, but we go even further. We look beyond the historical centre, we peep into everyday life and we do that with a glass of wine in our hands and some traditional yummy Slovenian snacks in between. You prefer red? Sweet? No problem! We are trying to be as flexible as possible and wines are selected according to guests` wishes. Have you heard that Ljubljana has had the honour to hold the title of the Green Capital of Europe 2016? Find out why! Join us for a stroll along green embankments of the river Ljubljanica, further on through city`s parks and even through incredibly green streets of the city centre. Many improvements in achieving high ecological standards in the past few years on the field of air quality, traffic and waste management e.g. have brought Ljubljana among the greenest and the cleanest capitals of Europe. The tour can take from 2 to 3 hours, your choice, and even though its focus is on the Ljubljana green city 2016, we will also be glad to provide you with all the other information you may be interested in. Offering a spectacular view of the city, its far surroundings with the Alps, the Castle hill invites with its 3000 years of rich history, lively atmosphere and rich cultural program. This castle tour doesn’t provide you with the history of the fort only but leans also on historical facts, stories and legends that have impacted the lives of people in the region. 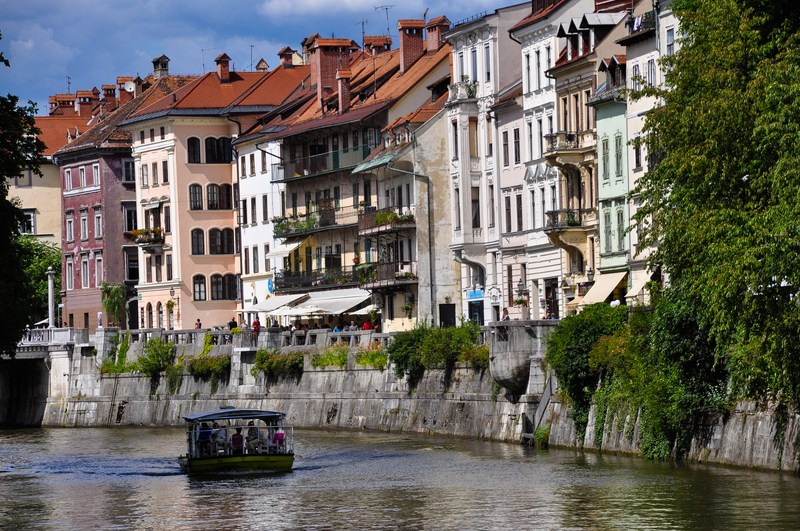 Ljubljana is maybe small but it`s cute, old and it`s romantic with numerous bridges and a river running through. Explore Ljubljana`s most photogenic side your personal way! Whether you want to capture your best moments in Ljubljana with your love, friends or family, or you maybe want to document your one time proposal or even corporate events, we have got you covered. Let our profesional photographer document your moments in the most beautiful corners of the city. Memories that you take home with you will never be forgotten. To bring you the best of Ljubljana, city tour service is provided by licensed Ljubljana tour guides. Private and group tours are provided.